All of the villas have natural hot springs where you can enjoy the natural outside bath. You can experience Amakusa's natural beauty in the private outside baths from the bottom of your heart. from a hot spring resource. Gosoku-no-Kutsu is located Shimoda Hot springs area. The history of Shimoda Hot springs starts from 700 years ago. You can enjoy the open hot springs in your own room. Within all of the 24 hours you can appreciate your privacy and your time with your loved ones. 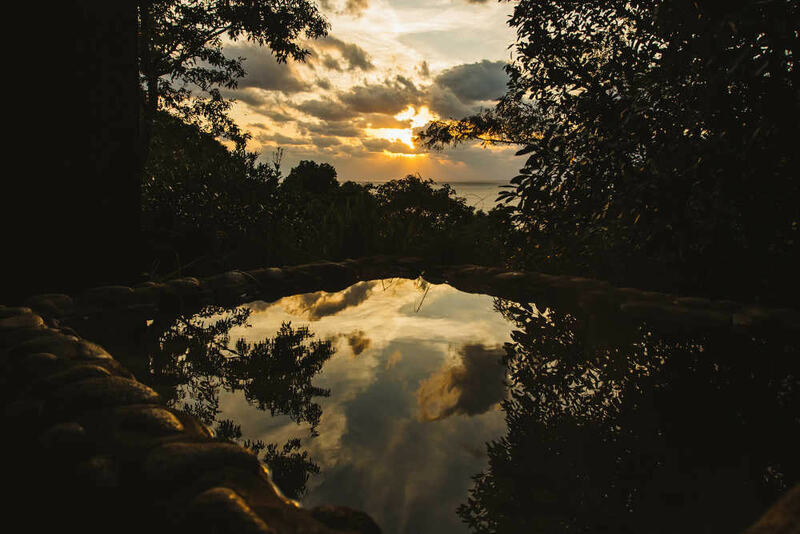 Every bath is unique: a rock bath surrounded by trees, a cut stone bath in a shrub garden, a bath with a grand view of the East China Sea. >>Detailed Chemical Analysis Tables of these waters, and our Onsen License can be viewed on our premises. What makes the hot springs special? Each room has its own praivate outdoor bath. Gosoku-no-Kutsu's villa all have the natural open hot spring. 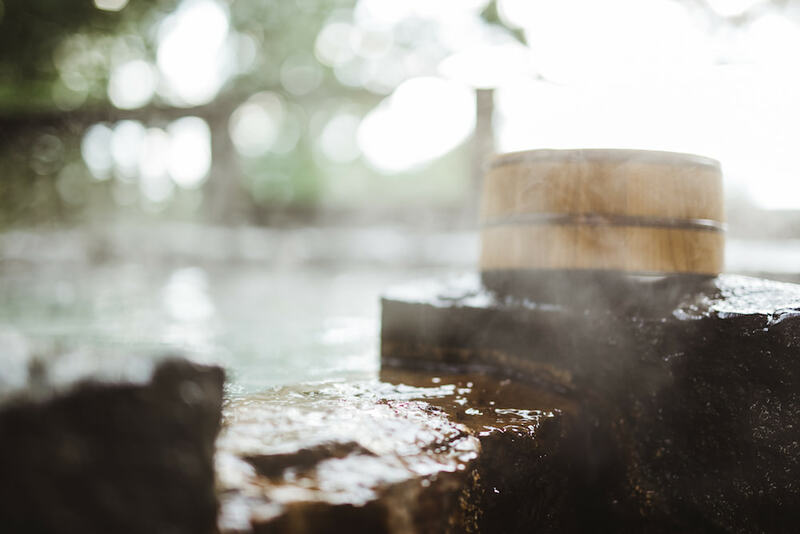 Shimoda Hot springs makes about 2,000 liters in a minute. The hot springs are directly heated than tapped, so our guests can enjoy the beneficial effects of the contained minerals at their natural concentration. Of course our bath water is not recycled, so you may bathe with complete peace. 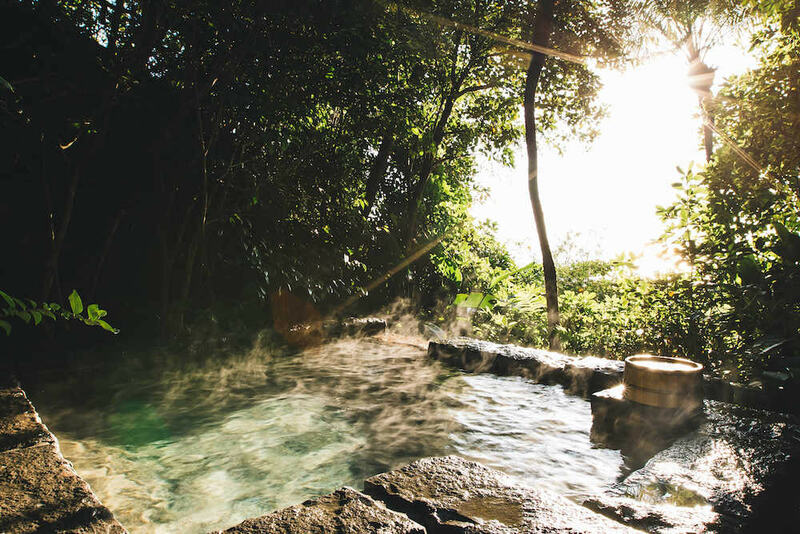 Shimoda Hot springs was the very first in Kumamoto prefecture in Showa 27th to be awarded with the “People's Recreation Spa”which is designated from the Ministry of Environment. The Shimoda Hot springs water's minerals and effects were graded well. The history starts quite a while back from 700 years ago an egret found the hot springs we know today. Shimoda Hot springs contains irons that makes your body warm very quickly and that lasts for a very long time. The alkaline in the water makes your skin even clearer than before. By going inside the hot springs the more your skin becomes like a newborn.